Archie Drake in Conversation with Bruce Duffie . . . .
-- Note: This interview was first published in Wagner News in April, 1990. The photos and obituary at the end were added for this website presentation. Most readers of this journal know about the Seattle Rings, so the name of Archie Drake should be a familiar one. But apart from his appearances there, what is known about this fine artist? Well, on one of my visits to the Pacific Northwest, I made it a point to look up this gentleman, and after a rehearsal of the new production, we went backstage to chat. Not surprisingly, it turns out that Drake is indeed a descendent of the famous seafarer. But he left naval life for a musical one and today he has many strong impressions to share with those who will listen – or in this case, read. His career spanned many years, and he gave over 1000 performances with the Seattle company. Now, at age 65, he lends his experience and keen savvy to those who continue the traditions. It was a great pleasure to spend an hour and a half with him, and we pick up the conversation with a bit of autobiography…..
Archie Drake: The reason I came to Seattle was to sing a wide variety of parts, which is what I wanted to do. I wanted to have a European career in America. I came to singing rather late. I was a merchant seaman, a navigation officer for the British Merchant Navy for sixteen years. I came from a seafaring family with the name of Drake, so everybody went off to sea and I wasn’t expected to do anything else. Sir Francis had no children of his own, but he’s my umpteenth great uncle, descended from his brother Edward. But as I got into my thirties, I thought I didn’t want to be at sea forever. I was then in a shore job in Vancouver, and I was going to concerts and discovered that I had a voice. I thought I’d see what would happen so I wrote to Lotte Lehmann in Santa Barbara, and she invited me to sing for her. I worked with her and then got a job with Roger Wagner (of the chorale), and went around the world for the State Department on a cultural exchange program in the mid-60’s. But I always wanted to get into opera, and into a house where I could do a wide range of stuff. I didn’t want to be stuck singing ten or eleven roles all over the place. I was in the San Francisco Opera for about three seasons, and then Glynn Ross called me when he was forming the company in Seattle. [See my Interview with Glynn Ross.] It was a year-round job with salary and benefits, and so I came in 1968 and have been with the company ever since. They’ve frequently allowed me to go elsewhere for a guest appearance, so I’ve been very happy. To backtrack just a bit, in 1962, Seattle had the World’s Fair, and they refurbished the Civic Auditorium into this Opera House, and they invited Glynn Ross to stage Aïda to launch the “new” house. The people here liked it so much that they decided to have a permanent opera company and in 1964 Ross was invited back to start it. He started with three productions each given twice, and built it up slowly, so when I got here there were five productions with five performances each. He was getting a lot of support from the state of Washington, so we were off with productions all around, and I found myself singing about one hundred performances a year. Seattle Opera was a kind of example to other cities. Denver looked at us, and Houston modeled their plan after ours, as did San Diego. Glynn is now in Arizona and I go down there to work with him once in awhile. He always had long thoughts. He had in his heart this yearning to establish in the Northwest, a Festival of the Arts, beginning with the Ring. The Ring would always be the core, and around it would be plays, ballet, plastic arts, visual arts, etc. It would be a permanent annual festival. We got a lot of people interested and the promise of federal and state money if we could get it all together, but Reagan was elected and cut the federal budget. We did a production that ran well over-budget for our company, and so the Festival project evaporated. There’s a retrenchment in the arts here, and also in England. I go there every year to see my family, and the Thatcher government is slowly withdrawing funding from the arts. There, they are saying that the things produced with public funding are too esoteric and do not reach enough of the general public to warrant that amount of public spending. Bruce Duffie: Should opera be for everyone? AD: No. It can’t be any more than baseball can be. I find baseball boring, but I don’t object to the amount of money the Seattle City Council spends to keep the Mariners in town. If it keeps a lot of people happy, so be it. But when you compare figures of attendances, there are more people going to opera and symphony and ballet than are going to baseball games. So we on the artistic side have an equally valid argument for access to funds as do the sports fans. It doesn’t need to be for everybody, but it should be available to those who want it and love it. We know that if the baseball people were left to their own devices, they couldn’t make it. They couldn’t raise enough money to build a King Dome. Likewise, our particular form of activity cannot support itself. No symphony or opera company in the world can do that. BD: Is opera on television going to help attract a little bit more public? AD: Opera on television will help to introduce a lot of people who otherwise would not have considered it. From my own point of view, as an artistic form opera on television is hopeless. It’s a picture of a picture. Opera is the grandest experience that can be mounted in a theater. The audience becomes not a collection of individuals, but a living organism in its own right. This you feel onstage. Every audience is different, and to get through you don’t play to an individual, you play to an audience which becomes a sort of gestalt organism. Projecting that through a television to two or three people in a living room, it’s self-defeating. BD: Even though it may be millions of twos or threes? AD: Yes, because they’re not that living thing there. It is a different creature altogether, and you can only experience it in a theater. BD: With all of this, are you optimistic about the future of opera? BD: We seem to be blurring the lines between genres. AD: That’s it. Wagner doesn’t call the Ring opera, did he? It’s a music-drama, and I think that’s the safest way to go. BD: How do we keep opera alive? AD: With the music, you have a definite set of instructions on how to go about things. You have a particular sequence of notes – pitches, sounds, and intervals. Then, depending on the composer, you have a set of instructions regarding tempo, expressions, etc. It is easier to reproduce a score accurately than a libretto. BD: So in opera, it’s the staging that will undergo the most radical treatment. AD: Exactly, and that is what’s happening now. We’re in the age of the director. It’s been weird, wonderful and offensive, too. BD: Obviously the director thinks he’s doing the right thing, and the singer must agree to go along. AD: Singers, when they sing a role often and become noted for it, set the movements within them and reproduce it with a minimum of effort. That can be very dangerous. Sometimes, putting a famous singer into a different production is at the house’s peril. If they were wise, they’d mount the production around that singer. The singer will obviously try to fit in, but some are so idiosyncratic that it’s very difficult. BD: We’ve gone through the age of the composer, the singer, the conductor and now the director. Where next? AD: Perhaps the age of the impresario who can find the wherewithal to get us on the stage in the first place. The money-men will be paying the pipers so they will call the tunes. I think that’s where we’re heading. Fortunately, most of the ones that I’ve met are well-informed artistically. They are cultured men, so we’re not really in any danger of losing ground, but we will have to conform. It all depends on the culture of the society itself in which we live and work, and that depends, in turn, on education. We should start that as early as possible and wherever possible. BD: How do we get them into the theaters that do “our” kind of music when all they seem to listen to is rock? AD: That is through the schools. When I came to Seattle, there was a great deal of support and funding, and we were able to fill this opera house (which seats over 3000) with school children three times for each production. They were bused in and prepared with materials we had sent out. Sometimes we had gone out to the schools and explained to the children what opera was. We didn’t talk down to them at all and I found them very receptive. I still get letters from some of those kids from 15 years ago. BD: Let’s talk about Wagner. You’ve been cast in a number of his operas – do you have a passion for Wagner yourself? AD: I wouldn’t say a passion. I have an affinity for it, sort of an innate understanding of what it is that Wagner wants when it comes to a melding of words and tone. Critics may point out otherwise, but I feel that I instinctively know what he is after in the matter of tonal coloring and emotional feeling simply from the way that he has set words and music together. It’s unique; there is no other composer that I’ve run across that has the facility and the sure and deft touch that Wagner has when doing this. BD: Is it better or worse, or just different from other composers? AD: It’s different because the thrust of Wagnerian opera is different from that of Verdi. I’ve come to understand, at least in the Verdi operas that I’ve done, that he sought primarily to entertain, to give the people a good, rousing entertainment in the theater. That was not what Wagner was after at all. Wagner was delivering a message, a philosophy, a grand idea, a concept. BD: No entertainment at all? AD: If entertainment was a by-product, so be it. There are times in the Ring where the two coincide, such as the final trio at the end of Act II of Götterdämmerung with Hagen, Brunnhilde, and Gunther. Everything works and fits in the musico-dramatic scheme, but at the same time it’s a grand opportunity to give the singers a chance to show off their glorious voices – which they do. It’s a rousing piece of music, yet it works absolutely in its place in the Ring. Wagner had a very definite message to deliver, and it was that if we do not learn to love each other and trust in that, then we’re on the highway to perdition. Unless you renounce the love of power for the power of love, then you will be destroyed. There is no other way to preserve ourselves as a civilization or as a species except through loving each other. We can’t do it any other way. The greatest technology in the world will not preserve us unless we’ve learned to care about each other as human beings. BD: I take it you also subscribe to this philosophy? AD: Oh, I certainly do. At this particular juncture in the human story, we seem to feel that it is incumbent upon us to preserve ourselves and all that we hold dear through the construction and threatened use of power. But we know that the moment that we use that power, it’s all over, it’s finished. Nothing will remain. And this is Wagner’s message, particularly in the Ring. Also in the Flying Dutchman it’s the same story. This is Wagner’s message – love or perish. BD: Which of the many roles do you sing in the Ring? AD: I did the Wotan in Walküre and Siegfried, and Gunther. I started with the Ring in 1973 which is when Seattle began construction of its first production. That year was Walküre, the following year was Siegfried and the next year in the season was Götterdämmerung, and in the summer the full cycle. We did two cycles – one in German, and the other in Andrew Porter’s splendid English translation. [See my Interview with Andrew Porter.] I went to London when I knew I was going to be involved with it, and talked to Andrew about it. He’s a very modest fellow. He was here a couple of years ago to direct Verdi’s La Forza del Destino and I gave my 1000th performance with the company. I was a bit leery about the critic directing, but he did very very well. He had a great compliment paid to him by a German critic who had been laughing about a Ring in English. He wrote that Porter’s translation should be re-translated into German so they would know what the Ring was about! I myself am absolutely convinced that the English language is as viable for opera as any other, and the only reason opera-in-English has not been accepted, particularly in America, is because of the lack of attention paid to diction by the singers on the stage. It doesn’t follow that just because you’re up there singing in English to an English-speaking audience that you’re going to be understood. American singers are probably better prepared than any other singers in the world to sing in Italian or German or French and even Russian. But when it comes to singing in English, they do not pay the same meticulous attention to the diction that they do when singing other languages. BD: I am glad you’re a supporter of opera-in-English. Did you also pay close attention to your German diction? AD: Oh yes. You can’t get away with that. The Germans would be down on you like a ton of bricks if you start delivering sloppy diction, but nobody jumps on English singers when they’re unintelligible. I won a reputation for being understandable onstage. 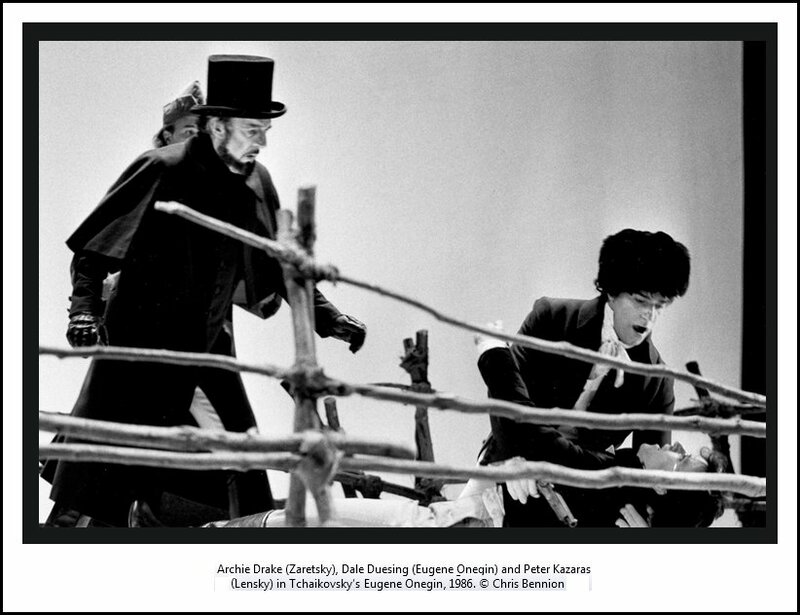 The critics have been good to me in that regard, and have pointed out when the cast was generally unintelligible that Drake, as one wrote, “Would be understood if he were rolled in a Persian carpet.” But I made a deliberate effort and point of delivering the text no matter which language I was singing in. BD: But never to the detriment of the vocal lines. AD: You try not to. The vocal line, the text, the orchestration – they’re all there for one purpose and that is to deliver the whole. The closer you can get to that, the better your performance will be. BD: Did Wagner know how to write for the human voice? AD: Oh yes. Wagner wrote for the human voice perhaps better than almost any other. When you take a look at the scores, everybody starts to chew their nails because of the thick orchestration. I’ve talked to others who have sung the Wanderer, and we all feel that the music at the start of Act III is so thick and turgid that we think no one will hear a word we sing. But it’s not so. If you have a conductor who knows his business, he will see where Wagner has deliberately left the holes for the voice. When the voice comes in, certain parts of the orchestra drop out. Wagner himself admitted that he was over enthusiastic about his dynamic markings, and he advised that all his dynamics be reduced by a notch, so ff becomes f, and f becomes mf. BD: Then why are so few singers able to get their voices across the orchestra? AD: That’s a matter of natural gifts and understanding how to do it. You cannot force the vocal line on Wagner’s texts. If you do, you ruin the voice and destroy the whole effect. BD: But lots of singers who are successful in Verdi and Puccini don’t make it in Wagner. AD: I know. It’s because they have to re-learn how to sing. One of the first things that Wagner had to do when he began to produce his operas was to teach the singers of his day how to sing what he wanted. He didn’t allow for all the freedom for decoration and embellishment that Bellini used. In those earlier operas, the beauty and agility of the voice dominated, whereas Wagner was after the delivery of the text melded to his music. BD: Can a singer who spends much of his or her time doing Verdi and Puccini sing Wagner? AD: Yes. Sure. You must be a bel canto singer in order to sing Wagner. They talk about the heroic voice, but it’s only heroic in style, not in technique. You must think about what you are singing and what you are trying to deliver, and what the composer is wanting you to do. If you think in those terms you will arrive at the way to do it. I’ve never had any trouble at all singing any role, Wagnerian ones included. BD: What is your voice category? AD: I’m a bass-baritone. I’m a real zwischenfach. BD: OK, then how do you decide which roles to sing? BD: Tell me about Gunther – he seems to be so misunderstood by the public. AD: Gunther is a weakling. He is manipulated by everybody. He’s not a bad man, just a silly one, and in the end he redeems himself. When he finally realizes what Hagen is doing, Gunther does rise to the occasion. He defends his sister and what is then his sister’s inheritance, and dies for it. BD: Might he have been a good king if there had not been a Hagen? AD: Yes, he could have been a good king if he had been surrounded by the right people... perhaps if he’d had a Gurnemanz to advise him. He was just a weak, silly man who couldn’t see beyond the end of his nose, and he was used by others. BD: Was it a grateful role to portray? AD: No. It’s not grateful and it’s bloody difficult to play because he’s the character that most of us tend to despise, and the vocal line is not Wagner’s greatest. It was written that way probably deliberately so in playing Gunther, you have to start out with the idea that he allows himself to be used, and slowly but surely the truth begins to dawn on him. Then in the middle of the second act, Brünnhilde accuses him to his face of being a vile coward. “How low have the Gibichungs sunk to breed someone like you!” she sings. Then he begins to suspect Siegfried of using him to get his hands on his sister Gutrune. It’s not a grateful role to play but you can, in the end, wring from the audience a modicum of sympathy. They may not like him, but they will feel sorry for him. BD: How old is Gunther? AD: He’s in his middle 30’s. BD: Why has he not married? BD: He’s the king – does he have wenches? AD: [Laughs] Undoubtedly he gets a slap and a tickle behind the barn, but he’s never been able to take anyone seriously but himself. See my Interview with Dale Duesing. BD: Is it right for the man who sings the three Wotans to also sing Gunther? AD: Oh sure. I don’t think there’s any problem. It’s a question of costume and makeup and presentation. It’s frequently done. BD: Did you enjoy singing Wotan? AD: Oh yeah. Wotan is the role in the Ring for a bass-baritone. I was asked to sing Alberich, but I looked at it and realized that if I threw myself into the role the way I’d have to do in order to get to the core of the character, then I would injure myself. So I declined it, and I’m glad I made that decision. I did the Wotan in Walküre and Siegfried, but not in Rheingold. It just didn’t come up, but ideally the Rheingold Wotan should be a younger man. One role that I had a bash at that I really never got on top of was the Dutchman. The essence of the opera is that he is a mere, normal human being who happens to be a Dutch sailor who finds himself in the most awful predicament imaginable. Just an ordinary human being who cannot die. BD: Is he really out at sea for seven-year stretches, or is it just apocryphal? AD: No, he’s out there and only allowed back every seven years to try to find the woman who will be faithful. BD: When we meet him in the opera, how many times has he been ashore? AD: I don’t know, but it must be a lot – maybe thirty. It began at the time of the first voyages around the Cape of Good Hope, which is where all this happened. When Wagner set it, it had been almost 300 years and he hasn’t aged. He wants to die. That’s the only way he can escape, and that’s the way I wanted to present him – as a human being in the horrible, dreadful, unbearable situation. Perhaps my vision of the Dutchman wasn’t subtle enough. I was happy enough, but it wasn’t received very well. BD: You sang King Marke in Tristan. Tell me about him. AD: Marke was a true, noble king, and he believed that this marriage of state would consolidate his position. He sent the man he most trusted in the world and didn’t reckon on what was going to happen. Then when he found out about it, it destroyed him as a man and as a king. He realized, as a king, he had misplaced his trust, and as a man he was not the husband for Isolde and never could have been. BD: Did he misplace the trust, or did the trust go awry? AD: Marke believed he had made the right decision. He knew nothing about the love potion, so all he saw was that he had been betrayed by the man he trusted most. So the mistake in the man’s character must have been his own. He made the mistake, not Tristan. Isolde was such a desirable woman, how could Tristan not fall in love with her? Then, seeing these two young people, the perfect love-couple, he, the older man realized that he could never have been to her what Tristan was. BD: I assume Marke a grateful role to sing. BD: Should he appear at the end of Act I? AD: He could, yes. It would make the fall so much greater. Then in Act III he has to let Tristan know that he understands what has happened, and that he truly loves him. But that doesn’t bring back what could have been. It’s a fabulous role. 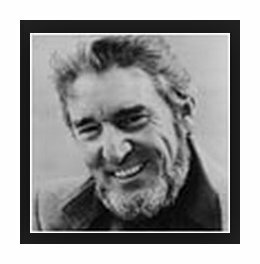 Bruce Duffie can be heard regularly on WNIB, Classical 97 in Chicago. Next time in these pages, a conversation with the late conductor and impresario Kurt Herbert Adler on the 85th anniversary of his birth. 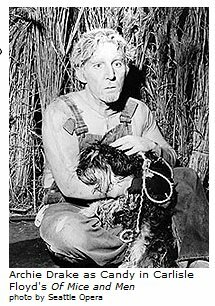 He was such a presence at Seattle Opera that he was widely known by just his first name -- Archie. But then a measure of recognition surely is earned when someone has sung 109 different roles for Seattle Opera in more than 1,000 performances over 39 seasons, which is why the opera's general director, Speight Jenkins, last year described Archie Drake as "the soul of Seattle Opera." The 81-year-old bass-baritone, with a familiar gaunt face reminiscent of Don Quixote, was on stage once again Saturday night for the concluding performance of "Macbeth," playing the minor role of "the Doctor." 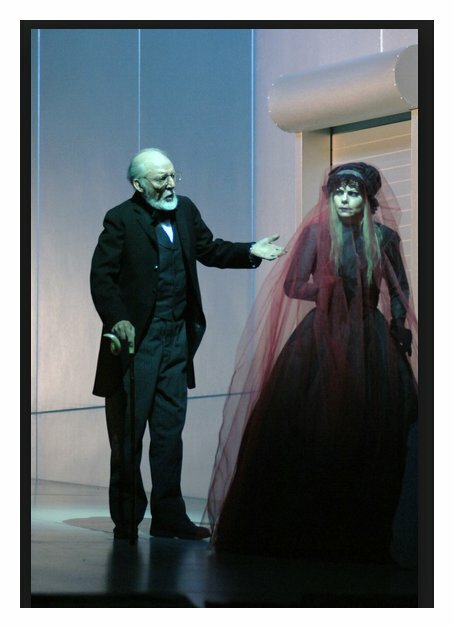 He sang briefly in conversation with Lady Macbeth's lady in the opera's last act [shown in photo below]. It turned out to be the final performance of Drake's illustrious career. Driven home afterward by an opera volunteer, Drake progressed up the stairs to the Queen Anne apartment where he had lived for 68 years. He was stricken with a massive coronary before he could open the front door. He was immediately discovered by a neighbor and rushed by medics to Harborview Medical Center. Drake never regained consciousness and died there Wednesday evening. Jenkins, traveling in Europe, learned of Drake's passing and said: "I have never known a man for whom I had more respect than Archie Drake. His work, his life, his whole being was concerned with giving. The world is a poorer place without him." Jenkins immediately began planning for a memorial celebration of Drake's life that the opera plans to host in late June. The singer's "fierce dedication to his art" and his "wry wit and warm heart" were saluted by Kelly Tweeddale, the opera's administrative director. 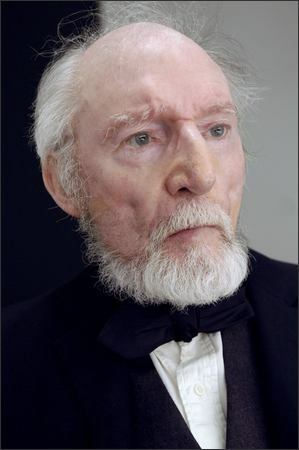 Drake was born in 1925 in Great Yarmouth, England, and left home at 15 to follow his family's well-trodden path at sea. He served on merchant ships during World War II and afterward, but began his musical training during a posting in Vancouver, B.C. Drake later sang with the fabled Roger Wagner Chorale, traveling around the world once again, only this time for more than 500 performances on stage. 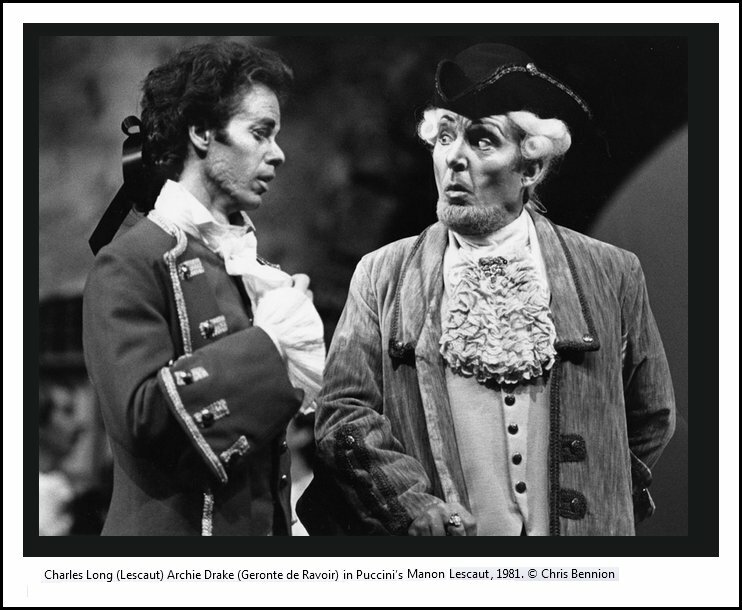 In 1968, he made his operatic debut with the San Francisco Opera as Rambaldo in Puccini's "Rondine." 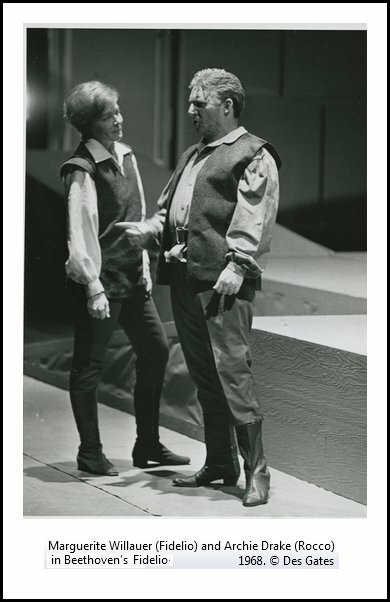 That same year, a call from Glynn Ross, Seattle Opera's general director, landed Drake two roles here in "Fidelio" -- Don Ferrando in the German-language production, Rocco in the English. Drake signed on as a permanent member of the company the following year and often sang in both productions of various operas, those in the original language and those in English, sometimes performing different roles on different nights. "For me, opera is basically an exploration of the human spirit," Drake said in a 2001 interview with Seattle Opera Magazine. "It can take you further into emotions and feelings and concepts and understandings and divining than any other way." Drake's main-stage roles for Seattle Opera included: Candy in the 1970 world premiere of Carlisle Floyd's "Of Mice and Men," Wotan in Richard Wagner's "Walküre" in 1973, Gunther in nine productions of Wagner's "Götterdämmerung" from 1975 to 1983 and three roles in Prokofiev's "War and Peace" in 1990. Last season, Drake took the stage in Mozart's "Marriage of Figaro" and danced the fandango for the first time at the age of 80. Drake, who was legendary for never missing a performance or a rehearsal, did appear tired during his final production. On several occasions, he expressed concern about whether he would "make it through" the production. On Friday, the next-to-last night of the run, Drake sat backstage and told fellow singer Byron Ellis that "all I need is 30 more hours." That he indeed made it through "Macbeth's" entire run would have been gratifying to him. As Ellis, a Seattle Opera compatriot for 26 years, remarked, "Archie would have been devastated if he had not finished his role in the show and someone else would have had to replace him. He was a good trouper, a wonderful comrade." Drake is survived by one niece and four nephews in Britain. A complete listing of Drake's roles at Seattle Opera is posted in the news section on the opera's Web site, www.seattleopera.org. This interview was recorded at the Seattle Opera House on August 1, 1987. The transcription was made early in 1990 and published in Wagner News in April of that year. It was slightly re-edited and posted on this website in 2009.